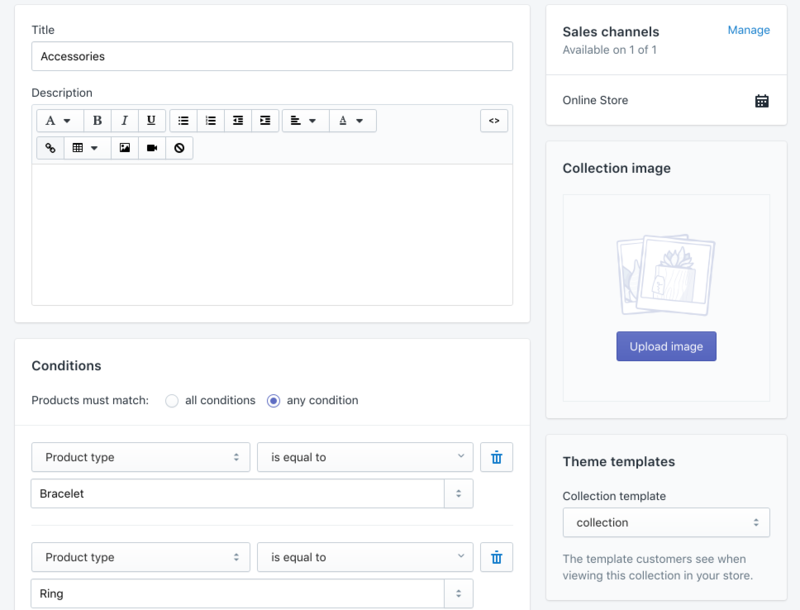 To make products appear on certain pages of a Shopify store, you will first need to create a product category - collection. 1. Go to the Products page in the Shopify admin. 2. Go to the Collections page. 4. 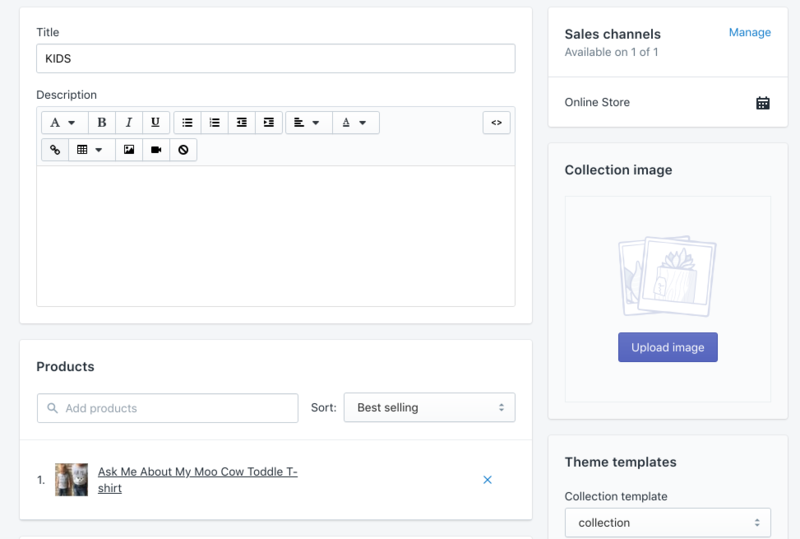 Create a title for the new collection. 5. Choose what type of collection you want to create: manual or automated. 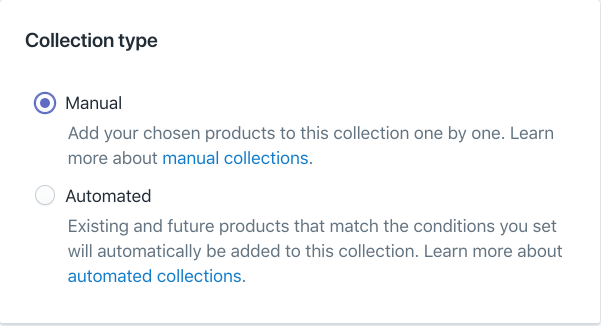 You will not be able to change the collection type later. 1. Assign products one by one from the Collection page. 2. Assign products in bulk from the Products page. 3. Assign products one by one in Oberlo Import List before importing them to the Shopify store. As for the automated collections, products are assigned to an automated collection automatically depending on the selected conditions. This means you will not need to add products to the automated collections in the Import List of Oberlo because they don't show up there. If you are unsure of how to set selection conditions, check out this article for further explanation.